Election season is upon us. A long and grueling run-up to the April primaries is on the horizon, with politicians spouting their ideas and opinions about what is important to Pennsylvanians, and the American people, seemingly repeating themselves at every turn. At City Paper, we thought we would try a slightly different approach with the race for Republican Pat Toomey’s U.S. Senate seat. Starting today, we will run an occasional series both in print and online at www.pghcitypaper.com looking at the Democratic primary for this seat one issue at a time. 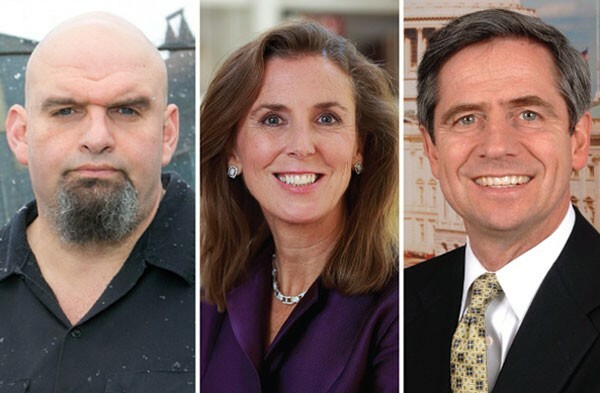 Democratic candidates John Fetterman, Katie McGinty and Joe Sestak will be asked specific questions on one topic that resonates at the local, state and national level. The first topic is affordable housing. Pittsburgh’s emerging problem has already deeply affected neighborhoods like East Liberty and Lawrenceville. Philadelphia is experiencing its own affordability crisis and even Lancaster County is struggling with inflating rents. And all of these Pennsylvania problems are a drop in the bucket compared to the crises affecting cities such as San Francisco, New York and Seattle. Braddock Mayor John Fetterman has lived in Allegheny County for the better part of the past two decades. He spent two years working for AmeriCorps in the Hill District, then left to attend graduate school at Harvard before resettling in Braddock to launch a GED program. In 2004, he was voted mayor of the old steel town and has served in that post since. Some have called him a “wild card” in the U.S. Senate race, and he publicly endorsed presidential candidate Bernie Sanders this month. Katie McGinty, former secretary of the state’s Department of Environmental Protection, is a long-time Eastern Pennsylvanian, born and raised in Philadelphia. She also served as an environmental adviser under President Bill Clinton and ran for governor of Pennsylvania in 2014, but finished fourth in the primary. She took a job as Gov. Tom Wolf’s chief of staff, but resigned in July 2015 when she announced her run for the Senate. 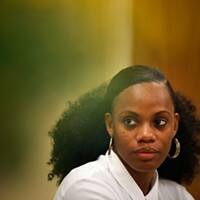 She has already received a flurry of endorsements from labor as well as support from Pittsburgh Mayor Bill Peduto, Gov. Tom Wolf and local U.S. Congressman Mike Doyle. Retired Navy Admiral and former U.S. Congressman Joe Sestak was born and raised in a small town southwest of Philadelphia. He served as defense director for the National Security Council under President Clinton, and — after an upset win in the primary against long-time Sen. Arlen Specter — ran for the U.S. Senate in 2010, losing to Republican Pat Toomey by just two percentage points. Sestak is the only Democratic candidate for the U.S. Senate in Pennsylvania with previous congressional experience. So far, his campaign has repeatedly made claims about Toomey’s inadequacies as a senator, and he’s seemingly champing at the bit for a rematch. G. Terry Madonna, a professor and director of the Center for Politics and Public Affairs at Franklin & Marshall College, calls this race one of the top five U.S. Senate elections in the country. “It is inconceivable to think Democrats could win control of Senate without winning this seat,” he says. Madonna says that McGinty is currently the clear frontrunner, considering her endorsements and backing from the Democratic establishment and labor unions. “She is very popular and has the kind of personality that offends almost no one. 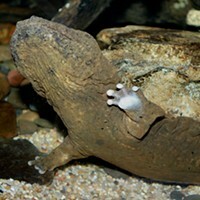 … She is popular in the party, particularly among leaders,” he says. Still, all three candidates seem to agree that affordable housing is a national problem that must be addressed, and each has slightly different methods and priorities for doing just that. Fetterman believes that it is in the country’s best interest to keep communities diverse, and that doing so is our moral obligation. He says that honoring our history can go a long way toward avoiding gentrification in Pittsburgh and other cities. He adds that the labor of steelworkers in Braddock helped Andrew Carnegie earn millions, and then Carnegie used those millions to fund a university, which grew talent that eventually helped to attract a company like Google to East Liberty. “We have to remember in Pittsburgh, that a lot of the good things that we have are based on the sacrifices of a lot of working families from the region,” he says. 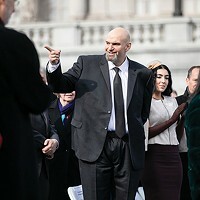 Fetterman advocates for a portfolio of innovative solutions for tackling affordable housing, like community land trusts. In a land trust, a nonprofit or government agency owns a property and sells the home to a low-income buyer, while maintaining ownership of the land. This allows homeowners to accrue limited equity while ensuring that the home can be sold continuously to low-income buyers. A program like this has been started in Lawrenceville. Fetterman also supports Mayor Peduto’s idea to use Section 8 funds to rehab derelict homes for low-income home ownership. During his mayoral tenure in Braddock, Fetterman says he has focused on affordable housing, even though the town’s rents and home prices are among the lowest in the region. The old UPMC Braddock site was refurbished with retail spaces and 24 subsidized units in 2013. “You took a site that had no value and we created 24 units of affordable housing that have been beautifully maintained and provide quality safe housing for residents,” says Fetterman. While providing clean, safe and secure affordable housing for residents in need was something all candidates agreed on, former environmental secretary McGinty focused on the problems of concentrated poverty.